Shop vegan and cruelty-free men's hair care products. All men's hair products in our store are 100% free of animal-derived materials, ingredients and by-products. The term “vegan” with regard to hair care products, refers to products that do not contain ingredients that are derived or sourced from animals or insects. The term “cruelty-free” means a product and its ingredients are free of animal testing. Fun Fact: On this site, we feature hair care products that are both vegan AND cruelty-free; they contain no animal or insect ingredients, and are not tested on animals. What animal ingredients are typically found in men’s hair care products? Biotin: Often used as a texturizer, Biotin is found in all living cells, and in large quantities in milk and yeast. Fortunately, there are many plant-based sources of this B vitamin as well, including carrots, onions, leafy greens, cabbage, and fresh berries. Cetyl Alcohol: A waxy substance that’s found in the spermaceti (head cavity) of whales, dolphins, and other cetaceans. Fortunately it can also be derived from plants, such as coconut. Gelatin: Typically made by boiling discarded animal bones, skin, and ligaments. It gives products (such as hair gel) a thick, smooth, gelatinous texture. Vegan alternatives include Irish moss (carageenan) or seaweed (agar, kelp, etc.). Hyaluronic Acid: Taken from rooster combs, acts as a moisturizer and lubricant in personal care products. Fortunately, there are some animal-friendly sources of hyaluronic acid; it can be produced synthetically, and many foods such as vegetables and soy help us produce it naturally in our own bodies! Stearic Acid: A fatty substance, often taken from the stomachs of pigs, and sometimes even euthanized pets. Fortunately for us animal lovers, stearic acid can be found in many plant and vegetable fats, including coconut. Lanolin: A product of the oil glands of sheep, extracted from their wool. Used as an emollient in many skin and hair care products. Alternatives include plant and vegetable oils. What companies make vegan/cruelty-free men’s hair care products? Why buy hair care products that are vegan/cruelty-free? It comes down to this: when you buy a vegan-friendly and cruelty-free product, you’re buying an animal-friendly product. Doing so helps to put an end to the perpetual cycle of paying companies to test the cosmetic and personal care products that we use, on animals. Every type of hair care product you could want is available in a vegan and cruelty-free version. Buying vegan & cruelty-free products is one of the most effective forms of animal welfare activism. 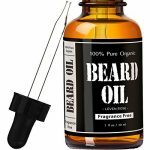 When you buy vegan and cruelty-free beard oil, for example, you’re telling stores, manufacturers, and everyone in the supply chain that there’s a market for beard oil that's free of animal ingredients and testing; companies will naturally respond to that demand by supplying such products for consumers. The more consumers buying vegan and cruelty-free products, the greater the shift in the market will be. It will also erode the market share of products that test on animals and use animal-derived and sourced ingredients, ultimately resulting in less animals harmed and/or slaughtered for products. Are vegan and cruelty-free men’s hair care products expensive? In general, men’s vegan and cruelty-free shampoos, conditioners, hair treatment and hair styling products are not any more expensive, or any less-expensive, than products that contain animal/insect derived ingredients, or that have been tested on animals. Just like their non-vegan/non-cruelty-free counterparts, the prices of these products can vary based on differences in the quality and the availability of the ingredients used, differences in the manufacturing processes employed, different brand names behind various products, and various other factors. How do you choose which men’s hair care products to list? If you make vegan and cruelty-free shampoo, conditioner, styling gel, hair dye, or anything other hair care product for that matter, we’d love to feature you and your products on the “Brands We Love” section of our site! Contact us at - info(at)getitvegan(dot)com - to get started!